Leather Jackets is the 20th studio album by British singer/songwriter Elton John, recorded at Sol Studios in England and Wisseloord Studios in the Netherlands, and released in 1986. It was his first album to not create any top 40 singles in either the US or the UK since 1970’s Tumbleweed Connection, which had no singles released from it. It is also the poorest-charting album of his career. In 2001 Elton regarded Heartache All Over the World as the worst song he’d ever recorded, calling it “pretty insubstantial”. 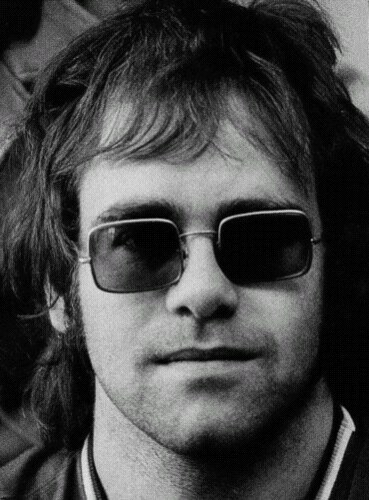 However, lyricist Bernie Taupin believes The Big Picture deserves the honor of worst album. “Heartache All Over the World” was the only single to achieve chart success in the US, though it failed to crack the top 50. “Slow Rivers” is a collaboration with Cliff Richard that was released as a single in the UK. Cher collaborated with “Lady Choc Ice” (actually John himself) to write “Don’t Trust That Woman”. Roger Taylor and John Deacon of Queen play drums and bass guitar respectively on the track “Angeline”. This was John’s last studio release to be produced by Gus Dudgeon and his last in which he played a grand piano before switching to the Roland RD-1000 digital piano for Reg Strikes Back and the two albums following that. After his throat surgery in 1987, Chris Thomas would be rehired as producer. For the first time in John’s career, no songs on this album are longer than five minutes. John played “Paris” during his 1986 US tour. He included “Heartache All Over the World” and “Slow Rivers” on his 1986 Australian tour with the Melbourne Symphony Orchestra, which would eventually yield John’s live album Live in Australia with the Melbourne Symphony Orchestra. “Heartache” was included in the band portion of the show (John opted not to play piano for that number) while “Slow Rivers” was played during the second half of the show with the orchestra. Due to contractual constraints, “Slow Rivers” was not included on Live in Australia, despite the fact that it was from the orchestral portion of the show, which was the basis for the album. Though not released as a single, “Paris” would also, ironically, become a minor FM hit for some jazz stations that programmed the track. This is John’s only studio album that has yet to be remastered as of 2013. However, it is available on compact disc. Sir Elton Hercules John CBE (born Reginald Kenneth Dwight on 25 March 1947) is an English singer-songwriter, composer, pianist, record producer, and occasional actor. He has worked with lyricist Bernie Taupin as his songwriter partner since 1967; they have collaborated on more than 30 albums to date. In his five-decade career John has sold more than 300 million records, making him one of the best-selling music artists in the world. He has more than fifty Top 40 hits, including seven consecutive No. 1 US albums, fifty-eight Billboard Top 40 singles, twenty-seven Top 10, four No. 2 and nine No. 1. For 31 consecutive years (1970–2000) he had at least one song in the Billboard Hot 100. He has the most No. 1 hits on US Adult Contemporary Chart (16 No. 1’s). His single “Candle in the Wind 1997” sold over 33 million copies worldwide and is “the best-selling single of all time”. He has received six Grammy Awards, five Brit Awards – winning two awards for Outstanding Contribution to Music and the first Brits Icon in 2013, an Academy Award, a Golden Globe Award, a Tony Award, a Disney Legend award, and the Kennedy Center Honors in 2004. In 2004, Rolling Stone ranked him Number 49 on its list of 100 influential musicians of the rock and roll era. In 2008, Billboard ranked him the most successful male solo artist on “The Billboard Hot 100 Top All-Time Artists” (third overall). John was inducted into the Rock and Roll Hall of Fame in 1994, is an inductee into the Songwriter’s Hall of Fame, and is a fellow of the British Academy of Songwriters, Composers and Authors. Having been named a Commander of the Order of the British Empire in 1996, John received a knighthood from Queen Elizabeth II for “services to music and charitable services” in 1998. John has performed at a number of royal events, such as the funeral of Princess Diana at Westminster Abbey in 1997, the Party at the Palace in 2002 and the Queen’s Diamond Jubilee Concert outside Buckingham Palace in 2012. 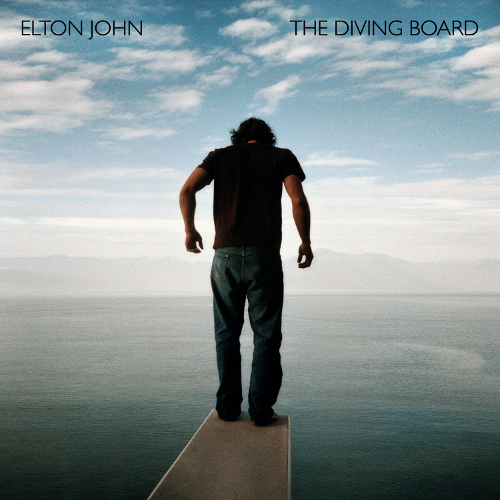 Capitol Records is proud to announce the release of Elton John’s The Diving Board, the artist’s first solo studio album in seven years, on Tuesday, September 24. Produced by T Bone Burnett, the album features 12 new songs written by Elton and his longtime lyricist Bernie Taupin, as well as three piano interludes composed by the artist. Beginning today, fans who pre-order The Diving Board on iTunes (http://smarturl.it/TheDivingBoard) and EltonJohn.com, will receive an instant download of the album’s premiere single, “Home Again.” The album is also available for pre-order beginning today on Amazon.com (http://smarturl.it/TDBamzn). A video trailer for The Diving Board featuring “Home Again” can be viewed at (http://smarturl.it/TDBtrailer). The Diving Board will be available in multiple formats: Standard, Deluxe, Super-Deluxe and a 180-gram 2-Disc Vinyl set. The Deluxe physical and digital packages will feature a bonus track from the album sessions, as well as three live tracks recorded by Elton and The Diving Board’s musicians during a special evening of music and conversation that took place at the famed Capitol Studios in April. The Super-Deluxe package will arrive in a specially-designed and embossed box and will include the Deluxe CD and 180-gram Vinyl versions of the album, a DVD of the Capitol Records Studios performances and behind-the-scenes, a case-bound photo book and exclusive art print. 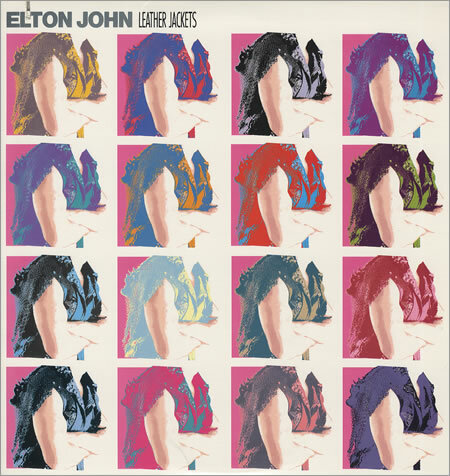 Sleeping with the Past is the 22nd studio album by British singer/songwriter Elton John, released on 29 August 1989. It is his best-selling album in Denmark (where it was recorded for tax purposes) and is dedicated to his longtime writing partner Bernie Taupin. The album featured his first solo #1 single, “Sacrifice”, in his home country of the UK, which helped the album also hit #1 there. John and Taupin meant for the songs to reflect the style of 1960’s R&B icons such as Marvin Gaye, Otis Redding and Sam Cooke, whom they admired. It also became his first platinum album in the UK since 1983’s Too Low for Zero, and was also certified Platinum in the U.S. by the RIAA. Guy Babylon made his debut on this album and would continue to play keyboards with John for the next 20 years. Fred Mandel left the band shortly after.